A tranquil tale about two boys from very different upbringings. On one hand you have Kai, born as the son of a prostitute, who's been playing the abandoned piano in the forest near his home ever since he was young. 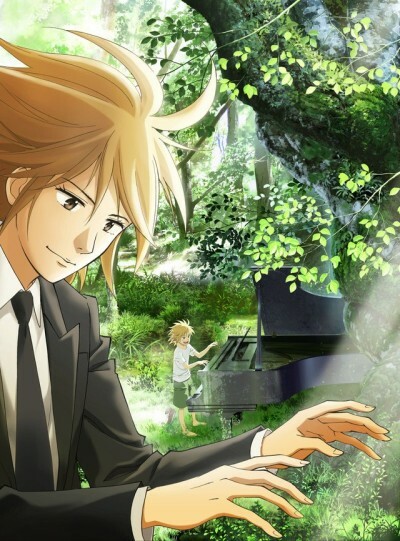 And on the other you have Shuuhei, practically breast-fed by the piano as the son of a family of prestigious pianists. Yet it is their common bond with the piano that eventually intertwines their paths in life.